Fostering a senior dog can be one of the most rewarding experience’s you can have in your life time! 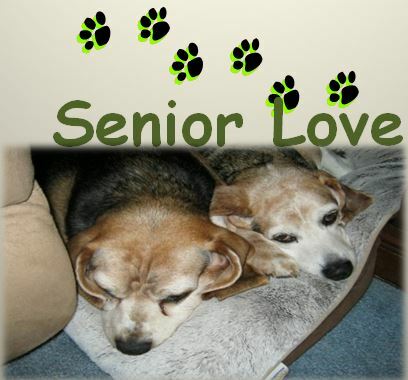 Meet our Senior Love Beagle’s, Brownie and Otto. This is where it all started for Pamela Adkins, President, Founder, of Central New Mexico Beagle Rescue. After my personal experience with these two terrific Senior beagle boy’s, who were only part of my life for 2 very short years. I know now, I will never forget, the two years I had with Brownie and Otto. CNMBR’S senior fostering program, is about taking care of our senior dogs! The senior fostering program will follow CNMBR fostering and adoption guidelines, plus, medical is always covered when fostering for CNMBR. When fostering a long term Senior beagle we will provide all food for the senior foster. When fostering for CNMBR it is usually short term, usually 2 weeks to 2 months. With some of our senior beagles, sometimes they need a long-term foster, which is call a sanctuary dog.